Is the economy suffering from the crisis of attention? 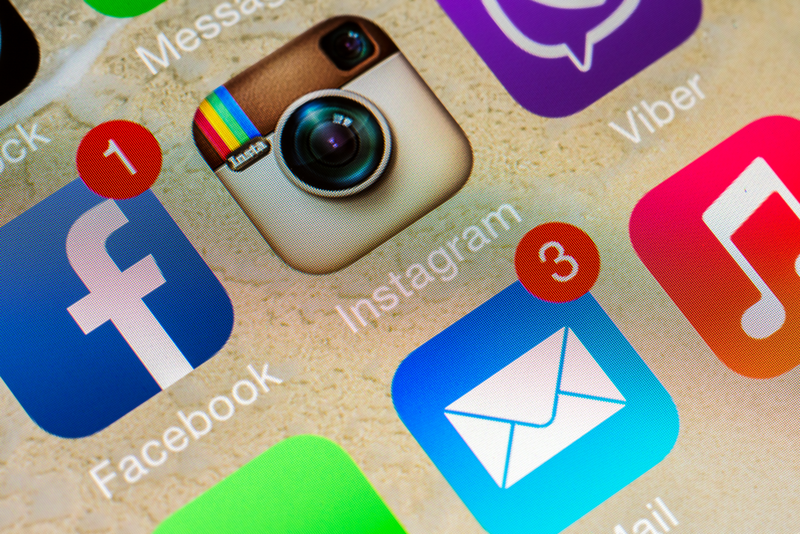 Smartphone apps and newsfeeds are designed to constantly grab our attention. And research suggests we’re distracted nearly 50% of the time. Could this be weighing down on productivity? And why is the crisis of attention particularly concerning in the context of the rise of AI and the need, therefore, to cultivate distinctively human qualities? Are we losing our attention? In a world of information overload, what do we pay attention to? This question has become increasingly relevant in the digital age. With the rise of smartphones in particular, the amount of stimuli competing for our attention throughout the day has exploded. A survey from 2013 found that we check our phones 150 times per day, or roughly once every 6½ mins; a more recent study found that the average smartphone user spends around 2½ hours each day on his or her phone, spread across 76 sessions. In the context of this huge cultural shift, our attention emerges as a scarce and valuable resource and the ‘attention economy’ has become a growing area of study (see, for instance, Terranova (2012)). Some models seek to explain how we allocate our attention online. The theory of rational inattention, meanwhile, starts with the assumption that information is costly to acquire, hence decision-makers may rationally take decisions based on incomplete information. Another line of enquiry, and the focus for this post, stems from the claim that we are more distracted than ever as a result of the battle for our attention. One study, for example, finds that we are distracted nearly 50% of the time. This ‘crisis of attention’ is seen as one of the greatest problems of our time: after all, as the American philosopher William James noted, our life experience ultimately amounts to whatever we had paid attention to. Might the crisis of attention be affecting the economy? The most obvious place to look would be in productivity growth, which has been persistently weak across advanced economies over the past decade (during which time, as it happens, global shipments of smartphones have risen roughly ten-fold). How might distractions be weighing down on productivity? The intuition is simple enough: our minds comprise the bulk of our human capital and what we direct our attention towards is integral to the ‘output’ of our mental activity. You would therefore expect the ability to pay attention to be a key input into productivity. In the vast literature on the determinants of strong performance in the workplace, some studies consider the role of attention. But there is little linking these to productivity in the economy as a whole. Partly this is because observing inner states (attention) and mapping these to outcomes (productivity), taking account of other relevant factors, is inherently tricky. Yet there is mounting research that can help us start to address this question. My aim here, rather than giving a definitive answer, is to set out a framework for thinking about this issue. My contention is that distractions at work – whether from work emails, smartphone notifications or office noise – might cause weaker productivity via two main channels. 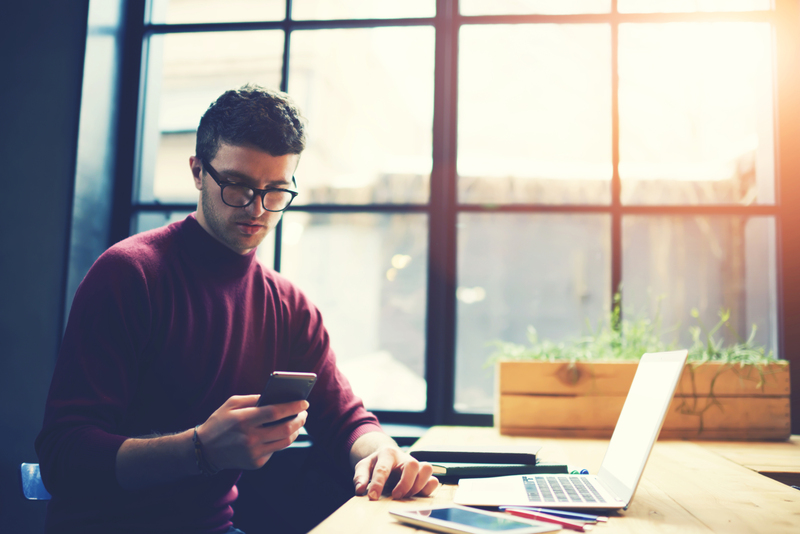 Surveys offer estimates of the time workers spend ‘cyberslacking’ – using the Internet and mobile technology during work hours for personal purposes. The US Chamber of Commerce Foundation finds that people typically spend one hour of their workday on social media – rising to 1.8 hours for millennials. Another survey, meanwhile, found that traffic to shopping sites surged between 2pm to 6pm on weekday afternoons. The total lost time will likely be greater than the time spent slacking off, however, since office workers typically take around 25 minutes to recover from interruptions before returning to their original task. What’s more, distractions can directly reduce the quality of our work . An influx of emails and phone calls, for example, is estimated to reduce workers’ IQ by 10 points – equivalent to losing a night’s sleep. The idea here is that frequent distractions might lead to a persistently lower capacity to work, over and above the direct effects. What is the argument for this being the case? First, there’s habit formation. As James Williams notes, distracted moments can quickly lead to distracted days. And our habits are shaped by the way that consumer technologies, such as smartphone apps, are designed to be as addictive as possible – to ‘hijack the mind’, as Tristan Harris puts it. Harris gives examples like the bottomless scrolling newsfeed, which is designed to make you want to scroll further in case something good turns up. The psychological mechanism at play here – “intermittent variable rewards” – is the same as the one that gets people hooked on slot machines. In the workplace, there’s some evidence that distractions cause more distractions. Mark (2015) finds that workers who get interrupted by external stimuli (eg message notifications) are significantly more likely to later go on to ‘self-interrupt’ – stop what they’re doing and switch to something else before reaching a break point. In other words, if you keep getting distracted by external stimuli, your mind’s more likely to wander off on its own accord. Second, the more we have different sources of notifications in the workplace competing for our attention, the more we’ll constantly scan different channels in an attempt to stay on top of things. The problem is that this mode of working – termed “continuous partial attention” – serves to fragment our attention, reducing our focus on the task at hand. In effect, this is a variation on multitasking – which is widely discredited as an effective mode of working. Cal Newport goes so far as saying that media like email, far from enhancing our productivity, serve to ultimately deskill the labour force. How should we respond to the crisis of attention? Individuals and organisations are exploring ways to counter the fall in attention spans. Some companies embrace single-tasking as a mode of working. Some experiment with doing away with email all together. Others help staff to train the mind, for instance offering courses in mindfulness (which I discuss here), the practise of paying attention to the present moment, which has been shown to improve people’s focus. In terms of avenues for future research, further empirical work could shed light on the size of the channels mentioned above to get an estimate of the drag on productivity. Ideally we would want to observe directly how ‘attention capital’ and productivity vary across firms and over time (and how this affects wages). Failing that, perhaps datasets exist that allow us measure the gains to productivity of firms that make use of strategies to enhance employees’ attention, compared to other firms in the same industry that don’t? Note that the focus here is on understanding the link from attention to productivity. This may include noting the role that (the design of) digital technologies play in causing shrinking attention spans. But of course the overall impact of digital technologies on productivity is a much wider issue (they will likely boost productivity, for instance, by reducing search costs). The crisis of attention also poses some deeper problems for society. To conclude this post, I note two of these because they have profound implications for the economy (and economics), even if they fall into the domains of political economy, philosophy and sociology. The first issue is that the more our attention is ‘captured’ by the algorithms that underpin consumer technologies, the less our decisions – what to click on, what to buy – can be said to reveal our true, underlying preferences. Of course, adverts have been around for a long time but the argument is that the use of Big Data to exploit psychological vulnerabilities in a targeted way, using the latest insights from neuroscience, changes the game: it prevents us from “wanting what we want to want”. This should concern economists because models of consumer behaviour rest largely on the assumption of ‘revealed preferences’. The second concerns the rise of artificial intelligence and machines that will be capable of an increasingly wide set of tasks. Views differ on what this will mean for future unemployment (see eg here and here). But most agree on the need to cultivate our distinctively human skills in order to differentiate ourselves from machines. And the human ability to empathise – central to the work of social workers, performers and nurses, among others – is cited in this regard by the likes of Klaus Schwab, Andy Haldane and Jim Kim. How is the crisis of attention relevant here? Being able to pay attention (to tasks, to people) is a crucial input in the cultivation of empathy. Studies on mindfulness are instructive here: mindfulness practise gives explicit focus to cultivating attention, but research suggests that it also boosts individuals’ empathy – making it a potentially important part of a response to the impending wave of technological change. Dan Nixon works in the Bank’s Content and Strategy Division. Previous Post Do rich countries lend to poor countries? As a small business owner I see personal productivity falling. Younger staff always have their personal smart phones on their desks and buds in their ears Younger managers do not see a correlation perhaps because they are wholly inducted into that lifestyle. We may have to adopt a strategy devised by Wyatt Earp and have all smart phones checked at the door. Thanks. Very nicely written and easy to understand article. 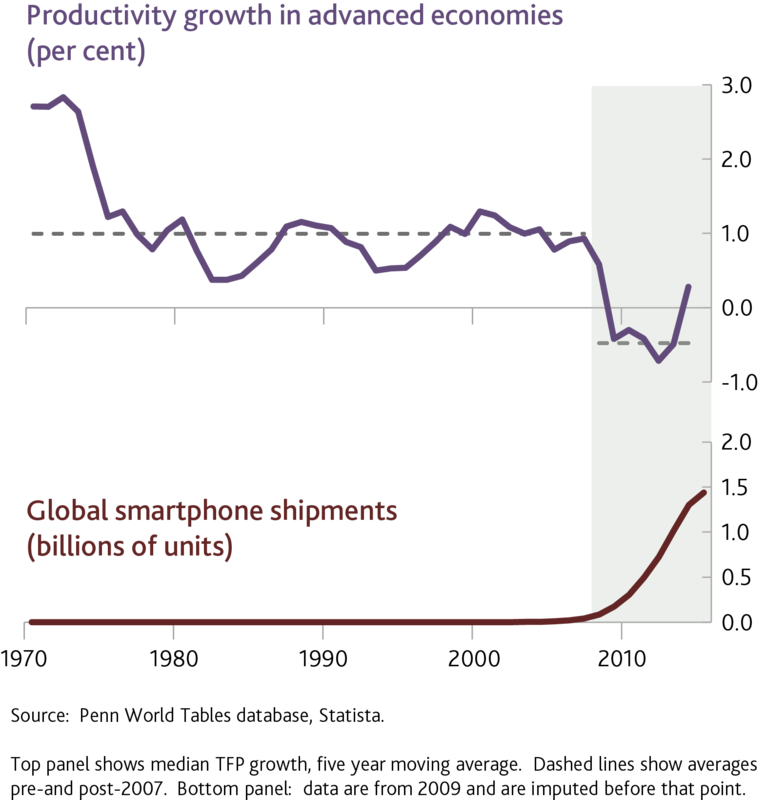 What exactly is the point of the economy, surely if people getting pleasure from smartphones we should be aiming to measure it and include it in stats. Great article. I’m glad you mentioned Cal Newport – his books were very useful in getting through my GCSEs and A Levels. Thanks for an interesting and thought-provoking article. Does this not apply already in the ‘open’ office, which has been forced upon so many service workers? Open offices drive many away from the desk (hot or cold) and onto their devices in self selected comfort zones , which has a compound distractive effect. The employee is thus driven along activity paths quite far away from the contracted role. Contrariwise the devices consistently invite work outside of prescribed hours for very many hours a week. The result is an erosion of ‘family’ life in exchange for semi-permanent work stance. Quantifying all this would need to assess learning/working styles for a ‘portfolio’ of individuals. One size certainly doesn’t fit all. Cyberslacking and non-work distractions are only one part of the problem. The way we collaborate in the digital age slows down decision making, which has an even more direct impact on productivity. The CEB released a report in 2016 showing how an increased circle of collaborators has slowed corporate decision making down by 20%. Collaboration is a good thing but when it is combined with multiple channels of communication on every important issue, with an expanding audience, the partial attention problem gets worse and we can no longer focus on what actually needs our undivided attention. Have you noticed that despite all the collaboration tools available to us (and perhaps because of this proliferation) we spend more and more time in live meetings and calls? But is anyone paying attention during those meetings or are they busy keeping up with their multiple digital channels…..it’s a vicious circle. What this article points out, when seen in the context of how our increasingly clickbait driven world now spins, is we are living in our lizard brains. We spend a great deal of our time and energy responding to low level emotion saturated content at the expense of a thoughtfully lived life. It seems to me the Matrix is real and in operation. An interesting article on one of the conundrums of our day. However, I can’t help feeling if this were the root cause in comparative productivity stagnation then organisations would be on to it because of missed deadlines, failed deals and projects and a continual stream of mental health issues among those Cyber-slackers. From my own experience the penalty of distraction is an occasional quality impairment and desperation in finishing something when I’d rather have gone to bed already. It still seems the real issue on productivity is what it actually measures.